Establishing an online community of professional learners was one component of a multi-year professional development project with an overall goal of improving the ability of career and technical educators to use and interpret technical assessment data. Educators from five states and nine different schools participated in a research-based workshop and were mentored for several months as they developed a data driven action plan. Very few of the project participants engaged in substantial exchanges using the website that was established to enhance communications among the educators at a distance from each other. The principal investigators discuss and present design elements of online communities used to revise the website and its facilitation. Hodes, C., Pritz, S., Kelley, P. & Foster, J. (2011). Developing an Online Community of Inservice Teachers. 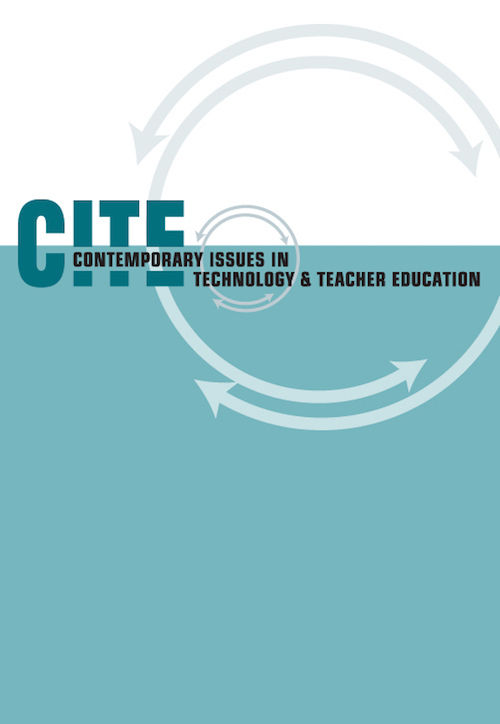 Contemporary Issues in Technology and Teacher Education, 11 (3), 313-323. Waynesville, NC USA: Society for Information Technology & Teacher Education. Retrieved April 24, 2019 from https://www.learntechlib.org/primary/p/36082/. Andres, H.P., & Akan, O.H. (2010). Assessing team learning in technology-mediated collaboration: An experimental study. Journal of Educational Technology Systems, 38(4), 473-487. Davis, M. (2011). Safe social networking tailored for K-12 schools. Education Week, 30(35), 17-18. Digenti, D. (1998). Toward an understanding of the learning community, Organization Development Journal, 16(2), 91-96. Dornish, M., & Land, S. (2002). A conceptual framework for the integration of multiple perspectives with distributed learning environments. Journal of Computing in Higher Education, 14(1), 3-27. Friedman, A. (2006). K-12 teachers' use of course websites. Journal of Technology and Teacher Education, 14(4), 795-811. Guskey, T.R. (2003). Professional development that works: What makes professional development effective? Phi Delta Kappan, 84(10), 748-750. Hodes, C.L. (1998). Developing a rationale for technology integration. Journal of Educational Technology Systems, 26(3), 225-234. Hur, J., Cullen, T., & Brush, T. (2010). Teaching for application: A model for assisting pre-service teachers with technology integration. Journal of Technology and Teacher Education, 18(1), 161. Land, S., & Zembal-Saul, C. (2003). Scaffolding reflection and articulation of scientific explanations in a data-rich, project-based learning environment: An investigation of progress portfolio. Educational Technology, Research and Development, 51(4), 65-84. Lewis, A. (2000). Revising professional development: What learner-centered professional development looks like. Oxford, OH: National Staff Development Council. Martinez, M. (2010). Teacher education can’t ignore technology. Phi Delta Kappan, 92(2), 74-75. Mishra, P., Koehler, M., & Kereluik, K. (2009). The song remains the same: looking back to the future of educational technology. TechTrends, 53(9), 48-53. Morrissey, M.S. (2000). Professional learning communities: An ongoing exploration. Austin, TX: Southwest Educational Development Laboratory. National Research Center for Career and Technical Education. (2010). Professional development for secondary career and technical education: Implications for change. Louisville, KY: University of Louisville, College of Education and Human Development. Ryman, S., Vine, R., & Richardson, B. (2009). Creating and sustaining online learning communities: designing environments for transformative learning Part IIi: Sustaining a learning community through constructive controversy. International Journal of Pedagogies and Learning, 5(3), 46-58. Ryman, B., Hardham, G., Richardson, B., & Ross, J. (2009). Creating and sustaining online learning communities: designing for transformative learning. International Journal of Pedagogies and Learning, 5(3), 32-45. Smith, C., Hofer, J., Gillespie, M., Solomon, M., & Rowe, K (2003). How teachers change: A study of professional development in adult education (Report No. 25). Boston, MA: National Center for the Study of Adult Learning and Literacy. Sparks, D. (1994). A paradigm shift in staff development. Journal of Staff Development, 15(4). Wenger, E., McDermott, R., & Snyder, W. (2002). Cultivating communities of practice: A guide to managing knowledge. Boston, MA: Harvard Business Press. West, R.E. (2010). A student's guide to strengthening an online community. TechTrends, 54(5), 69-75.